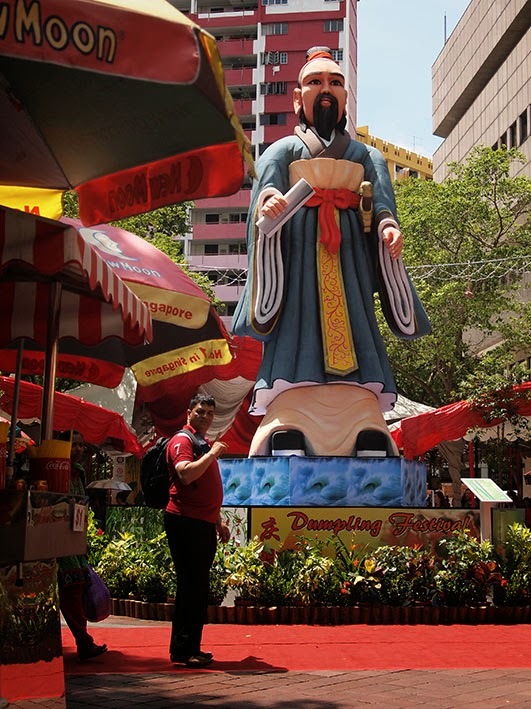 Since last weekend, a large polystyrene statue of Qu Yuan has been erected overlooking Waterloo Street in Bugis. 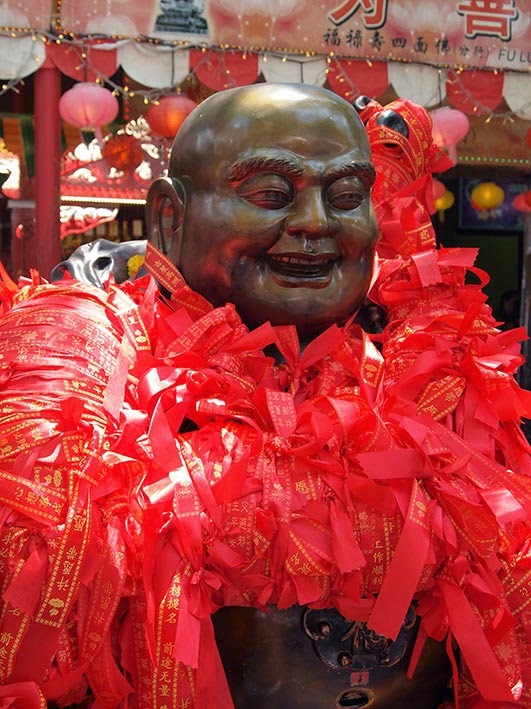 According to the sign below, Qu Yuan was a poet who became disheartened after being banished by the Emperor and threw himself in a river. The villagers raced out in boats to rescue his body, but he drowned. As the villagers threw rice into the water for Qu Yuan's spirit and to distract the fish away from his body, people now commemorate Qu Yuan’s patriotism on the fifth day of the fifth lunar month with rice dumplings and dragon boat races. 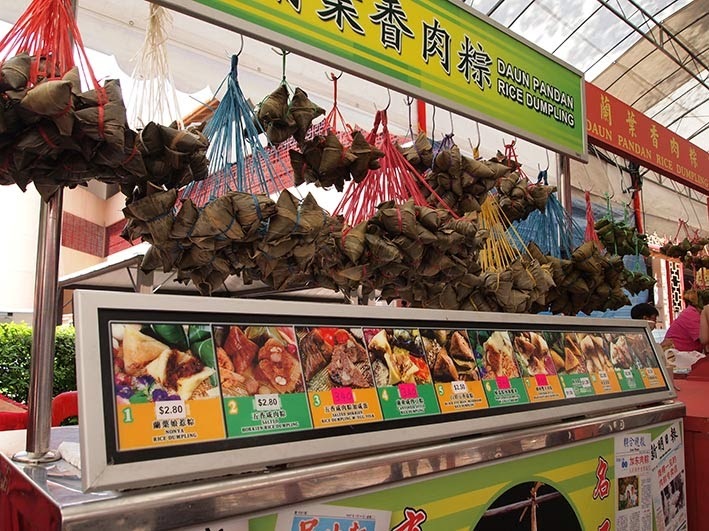 Dozens of dumplings stalls lined the street covered with green, tetrahedron-shaped parcels in piles, hanging from strings or stacked in brightly-coloured boxes. One stall alone sold Nonya, salted rice, salted rice and egg yolk, Cantonese style, black-eye bean and mushroom, Nonya rice with chilli shrimp, Teochew-style bean paste, Kee Chang (an alkaline dumpling made with lye), vegetable Nonya, peanut and chicken dumplings. Continuing along Waterloo Street, I stopped at Fu Yuan Medical & Trading to give the owners a copy of the sketch I did last week. They seemed very happy and gave me another bottle of water. 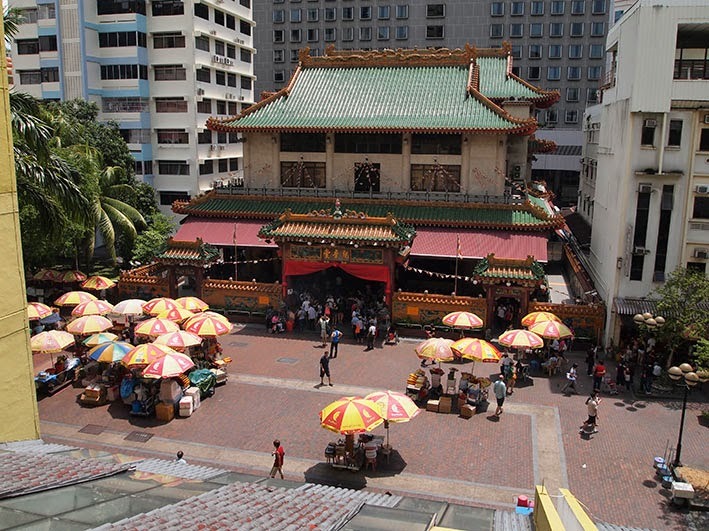 Crowds were gathering in front of the Kwan Im Thong Hood Cho temple. 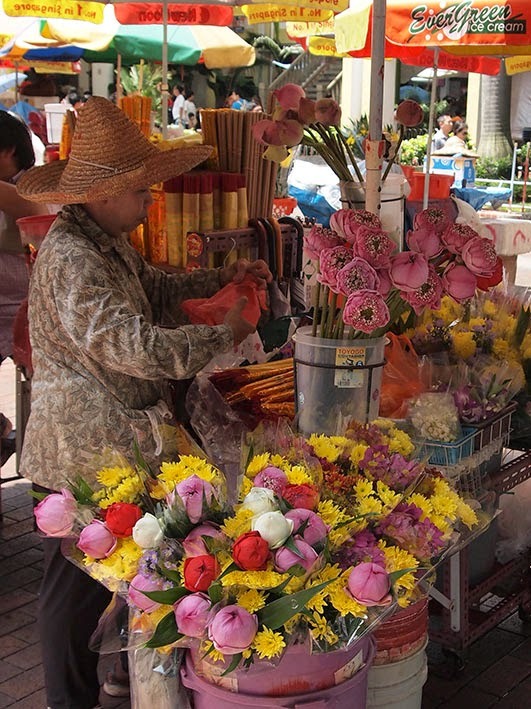 Camera shy ladies under ‘New Moon’ brand red and yellow umbrellas sold flowers and incense, while men told fortunes, peddled miraculous cures or advertised labour-saving gadgets. 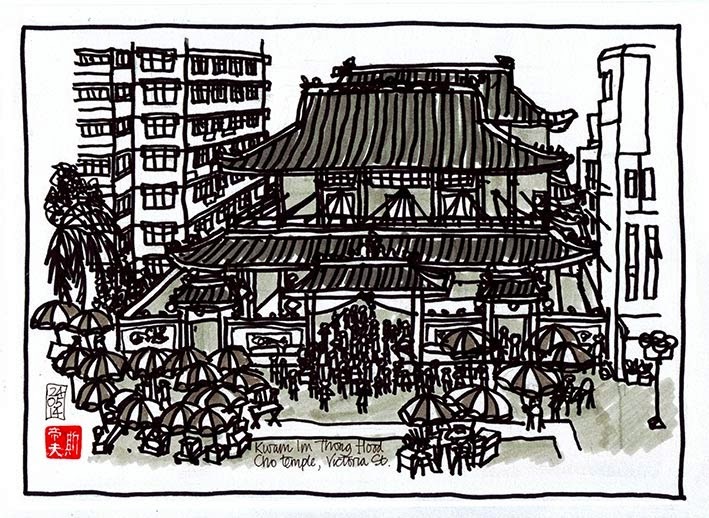 I found a perfect spot to sketch the temple from one of the upper floors of an HDB block which was out of the sun and very quiet. I tried a different style with a big fat Sharpie pen to avoid getting bogged down in too much detail. Not sure, I think it worked. An hour later, despite my free bottle of water, I was getting thirsty. After running the gauntlet of the ladies offering massage services at the end of Waterloo Street, I encountered an incredibly persistent woman who offered to remove a mole for only $15.00. She even had before-and-after pictures to prove the efficacy of her treatment. Thankfully I managed to shake her off as I headed into Bugis market on the way back to the car.